The first users have now started experiments at the new international research facility in Schenefeld. “This is a very important event, and we are very happy that the first users have now arrived at European XFEL so we can do a full scale test of the facility” said European XFEL Managing Director Prof. Dr. Robert Feidenhans’l. ”The instruments and the supporting teams have made great progress in the recent weeks and months. Together with our first users, we will now do the first real commissioning experiments and collect valuable scientific data. At the same time, we will continue to further advance our facility and concentrate on further improving the integration and stability of the instrumentation” he added. 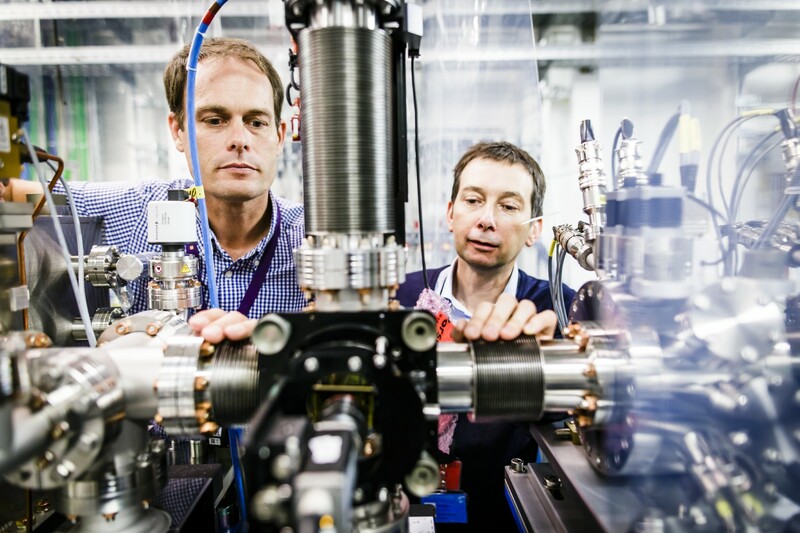 The first two instruments available for users in the underground experiment hall are the FXE (Femtosecond X-Ray Experiments) instrument, and the SPB/SFX (Single Particles, Clusters, and Biomolecules and Serial Femtosecond Crystallography) instrument. The FXE instrument will enable the research of extremely fast processes. It will be possible to create “molecular movies” showing the progression of chemical reactions which, for example, will help improve our understanding of how catalysts work, or how plants convert light into usable chemical energy. The first seven experiments conducted at FXE highlight the range of methods available at the instrument and the diversity of topics of study possible. Experiments will include using different spectroscopy methods to track ultrafast reactions and electron movement in model molecules, probe organic light emitting diodes, or investigate the recombination of nitrogen and oxygen in the muscle tissue protein myoglobin. The first user group at the FXE instrument. The SPB/SFX instrument will be used to gain a better understanding of the shape and function of biomolecules, such as proteins, that are otherwise difficult to study. Several of the seven first experiments at this instrument will focus on method development for these new research opportunities at European XFEL or ways to reduce the amount of precious sample used for the examination of biological processes. Other groups will be studying biological structures and processes such as the Melbourne virus and the water splitting process in photosynthesis. The first user group at the SPB/SFX instrument. 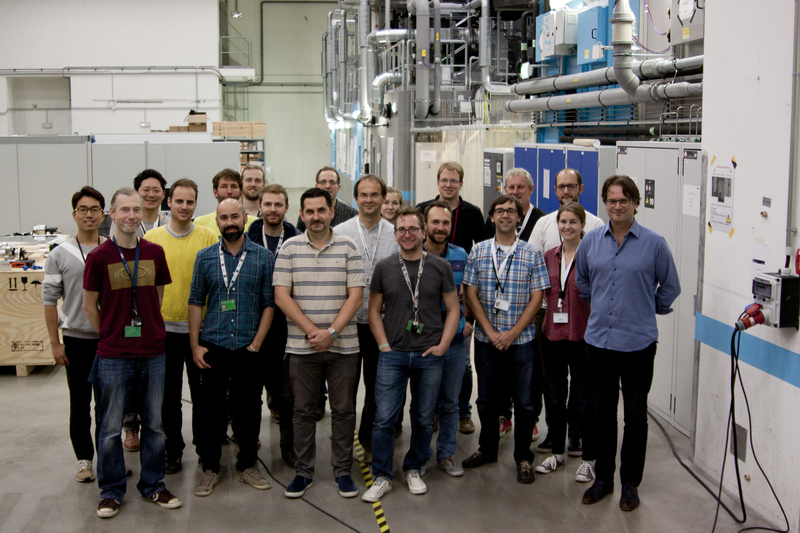 In this first round of beamtime a total of 14 groups, of up to 80 users each and travelling to Schenefeld from across the globe, will conduct experiments at European XFEL until March 2018. Each group will have about five days of 12 hours of beamtime.